The latest global monthly climate summary for the globe was released by NOAA today. 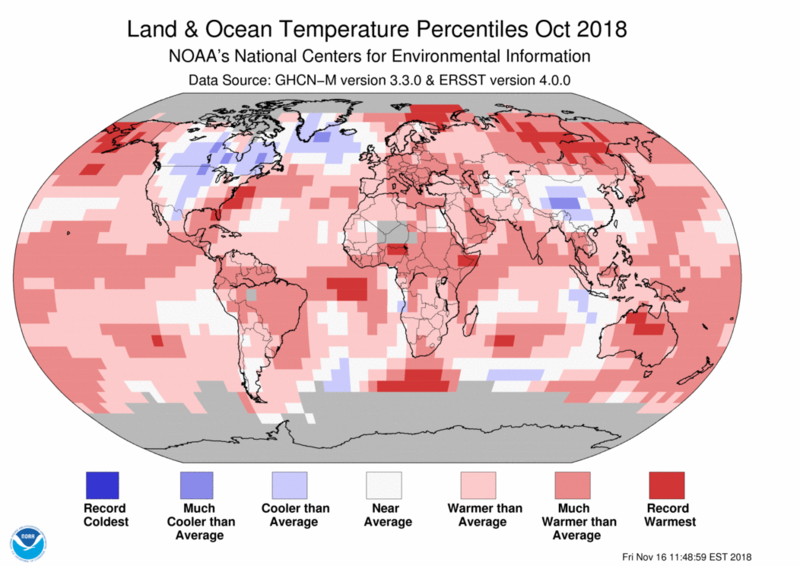 It shows that October 2018 was the second warmest since records began in 1880, following the record warm year of 2015 when a strong El Niño was occurring. Note that in the Southeast, the Florida peninsula was record warm for October. 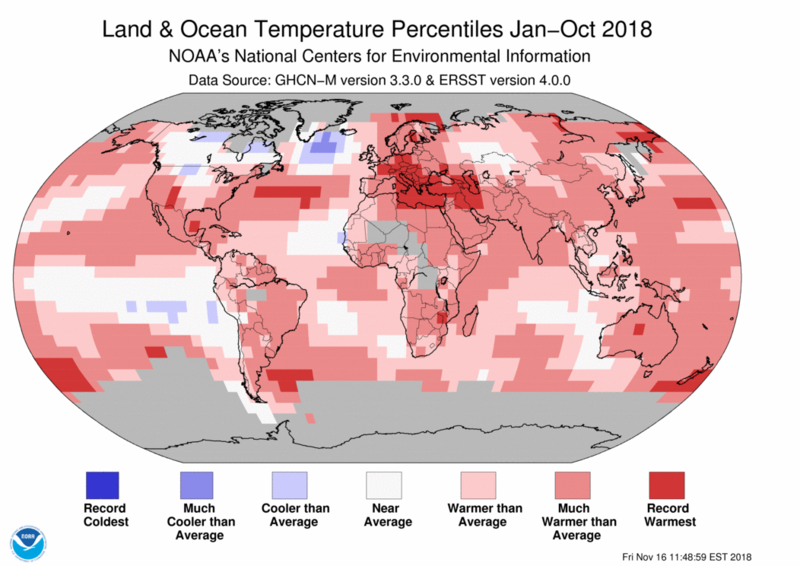 The year to date for the globe is the 4th warmest on record, including record warmth for much of Europe. 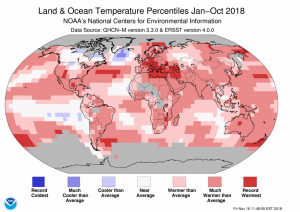 You can read the summary at https://www.ncei.noaa.gov/news/global-climate-201810.